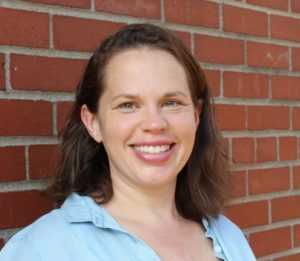 Emily brings an impressive and extensive background in arts education and performance as well as Montessori and traditional classrooms to her position as a Lead Guide of one of our two Upper Elementary classrooms. Emily is the artistic director of Womansong, owner/instructor at Music Together Charleston and a vocal and interdisciplinary instructor at the WV Governor’s School for the Arts, in addition to directing and/or performing with numerous musical and theater in groups in the United States and abroad. 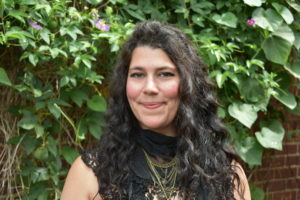 Emily has taught in Montessori classrooms at the upper elementary level and directed vocal and general music at schools in New York, New Jersey, Virginia and Japan. Emily holds a BME and BA in vocal performance from Otterbein College in Westerville, Ohio; a master’s in vocal music and choral conducting with distinction from from Westminster Choir College, Rider University, Princeton, N.J.; and a Montessori elementary credential from the Center for Guided Montessori Studies. She is the parent of two MMS students. This is her second year at our school. Tara is beginning her fourth year at MMS. She brings 15 years of experience as the lead teacher of lower elementary at the Montessori School of North Miami in Florida. She is a graduate of Florida International University, completed Positive Discipline Training, and holds an AMS Lower Elementary credential from the Summit Montessori Teacher Training Institute in Davie, Florida. Tara loves to be out and about, but also loves being in her new home with her family enjoying activities like cooking together, having game night, playing with their three dogs and two cats, or catching lightning bugs in the backyard. Tara is very excited and thankful for the opportunity of living in a beautiful state that is so connected to nature, and especially for being a part of the Mountaineer Montessori community. She leads her class with enthusiasm and respect, and provides a classroom environment where each child will feel safe and have the confidence to learn and grow as students and as people. When Becca Moore enrolled her son at MMS, little did she know that it would lead to big changes and a new career. 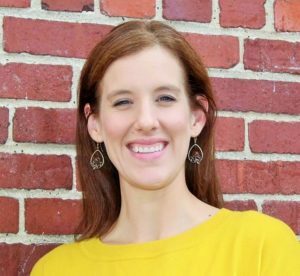 Excited by what she learned through her son’s experience, Becca eventually left her position in the Kanawha County Schools and started training to become a Montessori teacher, joining our faculty in 2014. “I fell in love with everything he was doing and everything about Mountaineer Montessori,” she says. This is Becca’s fifth year at our school, where she leads one of our two Lower Elementary classrooms. She is a graduate of Marshall University and holds an AMI Elementary (6-12) Credential from the the Milwaukee Institute for Montessori Studies. Becca directs our popular MMS Campessori, an eight week summer program that focuses on the arts and sciences. Jason returns to MMS this fall for his fifth year as an upper elementary lead guide and coach of our cross-country team and state championship-winning chess team. 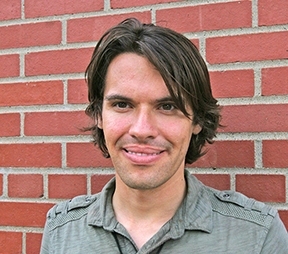 Jason previously taught elementary students at Evergreen Montessori in Memphis and Malta Montessori in Malta, New York, for five years. He holds an AMI Montessori credential for ages 6-12 from the Washington Montessori Institute (WMI) and has completed Positive Discipline in the Classroom training. A former Montessori student himself, Jason is dedicated to fostering independence and self-ownership in his students. He earned a M.Ed. from Loyola University in Baltimore and a B.A. in English from Hood College in Frederick, Md. Jason loves literature and the classics, philosophy and ethics. He likes to keep up with the newest technology and is a compulsory tinkerer. Jason keeps in shape with weight-lifting and jogging, and in his free time he enjoys acting, comedy, computer games and outdoor sports. Now in her second year at MMS, Alasha holds bachelor’s degrees from Ohio University in Athens, Ohio, and West Virginia State University and is trained in the Wilson Reading System. She is a composer, music instructor and performer, and contributed to the success of one of West Virginia’s most notable bands, Qiet. Outside of MMS, Alasha is a private music teacher, violin teacher with the Partnership of African American Churches, and a vocal and violin faculty member of the Albans Arts Center. Alasha has three years of experience at a Montessori school, where she served as a music specialist, administrative assistant and after school program director and started a summer arts program. She is the mother of an MMS student. “Every school should have a Nancy Johnston.” That’s what a former student recently said about Nancy, who has been a beloved part of MMS for more than 20 years. A Charleston native, Nancy attended Marshall University and West Virginia State University, studying education and art. 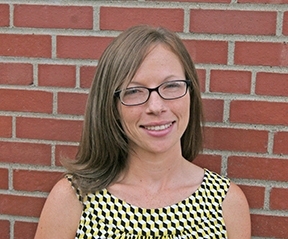 She completed the AMS Basics Course at the Midwest Montessori Teacher Training Center in Evanston, Ill., and Positive Discipline in the Classroom training. She has taught art to elementary students for the last 10 years and wants to be an artist when she grows up! 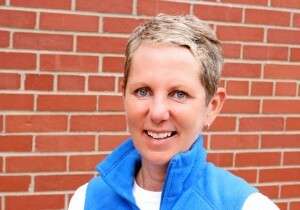 The mother of three children, Nancy is an outdoor enthusiast. She loves walking, biking, hiking, swimming, kayaking and her latest obsession, boot camp. Now in her fifth year at MMS, Kristie can be found almost everywhere at our school, bringing her warmth, caring and enthusiasm for Montessori education to many departments. She is the morning Plus/early drop off coordinator, office assistant, a part-time Upper Elementary assistant, a PE assistant, supervises the playground and lunch, and rolls up her sleeves any where else her help is needed. 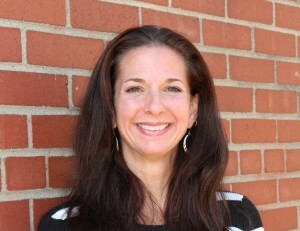 A graduate of WVU-Parkerburg and WVU Institute of Technology, Kristie is a registered nurse. She and her husband, Donald, are the parents of two MMS students.